Opposite the church stood the New Inn, previously named The Crispin Arms Beer House and prior to that called The Blue Ball. 1834 saw the first roundhouse built, to be used as a lock-up, in place of the dilapidated village stocks. Blidworth can rightfully claim to be the founder of the Co-operative Movement in Great Britain. This was originally thought to be at Fenwick East Ayrshire in 1769, but a rule book dated January 3rd 1767 still exists showing the formation of a Society at Blidworth. 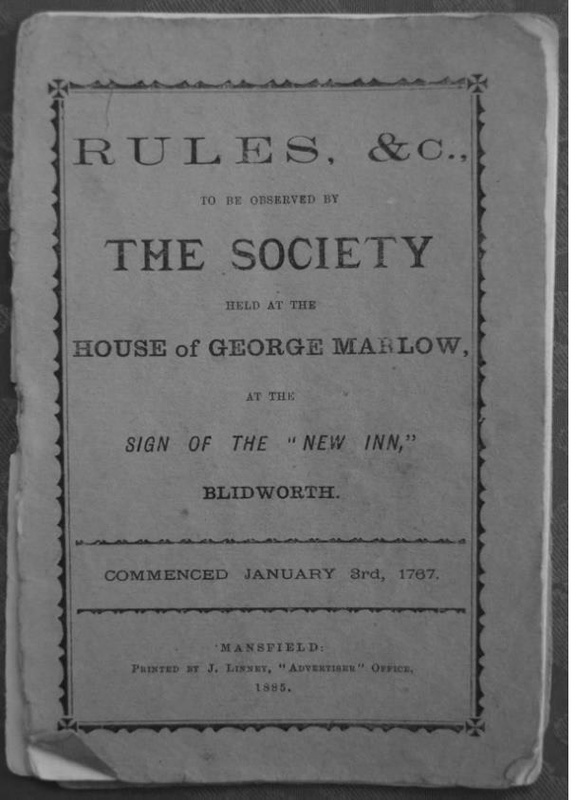 This rule book was printed by J Linney, Mansfield and records the subscriptions of members. Photographs of this book appear in our recent publication "Blidworth and the First World War"
The discovery of many roman artefacts means Blidworth may have been a Roman settlement. In memory of all the Blidworth servicemen and women who perished during W.W.1 and to commemorate 100 years of their passing, the bells of St. Mary of the Purification are rung on the nearest Sunday following the actual date of their death. This initiative began in 2014 and will continue after 2018 to include those who died of their wounds following their return home to Blidworth. 37 men from Blidworth (3.5% of the population at the time) either died or were missing in action during the First World War. In our Church St. Mary of the Purification is a stained glass window that depicts St. Anne teaching the the Virgin to read what the prophets had written. This window has an exact replica in Cologne Cathedral. It is recorded that during The Napoleonic Wars, the Black Bull Inn square was used every morning for one hour for farmers to drill their labourers. In 1803 Napoleon's army gathered at Boulogne-sur-Mer to prepare for an invasion of Great Britain. Blidworth residents were to told to assemble at Fountaindale for instructions if the invasion happened. In 1675 clay for 3 million bricks was dug for in Blidworth. The first house to be built was that of Thomas Frost in Pogson’s Yard. 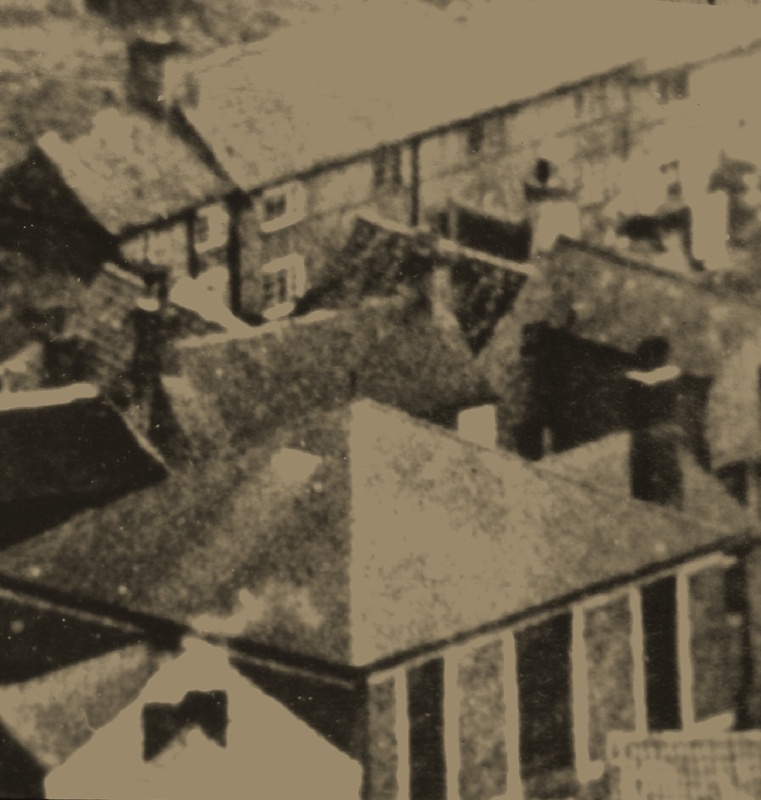 On the original photo, “TF 1676” can be seen on the house gable. Top left hand corner of this picture. A new development has since replaced all of the properties in Pogson's yard. 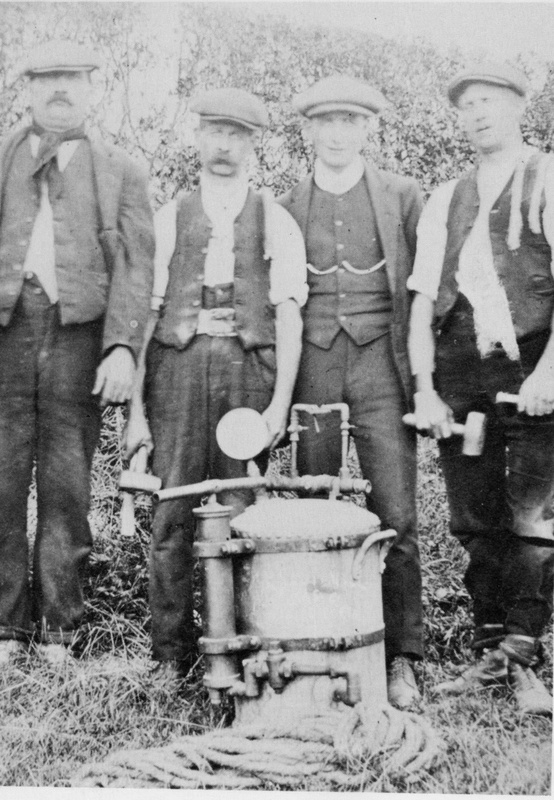 Gas arrived in Blidworth in 1920; sewage pipes laid in 1929. In 1903 school inspectors reported that diphtheria was in the school. The Blidworth stocking frame knitters rented their frames for £3.00 per year. They had to put in 14-16 hours a day to survive. In 1844 there were 93 stocking frames in Blidworth. During the reign of King Henry V111 in 1538, the parish register had to be updated every Sunday. A penalty fine of 3s.4d had to be paid for failure to do so.